While snoring may be a laughing matter to many, it can really wreak havoc on one’s health and personal relationships with others. It is estimated that 30% to 40% of Americans snore from time to time while the majority of those who snore do so habitually. So what’s the big deal with frequent snoring? Many would say that the main problem with snoring is that it keeps other awake. Whiles this is true, a more dangerous reason comes down to the health issues that are associated with regular snoring. The act of snoring could stem from a sleep disorder known as sleep apnea. According to the National Sleep Foundation, an estimated 18 million American adults have sleep apnea which can lead to other problems such as high blood pressure, stroke, heart attack, or depression. It is very important to remember that not all who snore have sleep apnea and those with sleep apnea do not always snore. This is why it is advisable to visit your doctor to determine if your snoring is a result of a more serious medical condition. Before visiting, keep a sleep journal noting how often your snoring occurs and under what conditions. Also, document your energy levels throughout the day and other factors such as mood changes. If possible, have partner observe you while sleeping, taking note of pauses in breathing or gasps for air. There are several factors which increase the likelihood of snoring. Often times, issues can be resolved by taking action to improve your health. Other times, one is genetically predisposed and unable to help their self. Once you have determined that your snoring is not the result of a more serious medical condition, you may want to give these self-help ideas a try. There are numerous health benefits associated with losing weight, including a reduction in snoring. 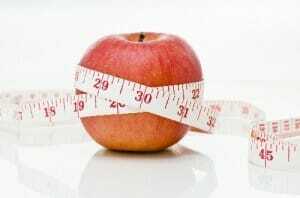 Think back to a time when you were a few pounds lighter. Did you snore during this time period? If the answer is yes then your snoring may be due to your current state of being overweight. Keep in mind that age may also be a factor because as we get older, we lose muscle tone in our airways. Snoring is prevalent in overweight people as fatty tissues build up around the neck, causing a restriction in the airway. As you lose weight, these fatty tissues begin to vanish, opening up the airway that was once obstructed by fat. As a general rule of thumb, women should keep their neck size under 16 ” while men should keep it under 17″. If you enjoy a few alcoholic beverages or take sedatives before going to bed, this may be a cause or be contributing factor to your snoring. Both are widely known to relax the tongue and muscles in the throat, causing them to become obstructed or even collapse while drawing air in as we sleep. 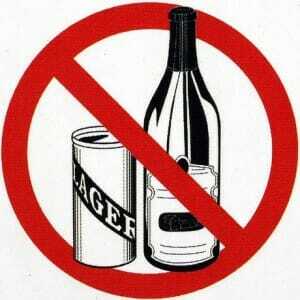 If you drink, ensure that you consume your last beverage 4 to 5 hours prior to going to bed and don’t overdo it. Also, be sure to include food along with your beverage of choice. This can help to lessen the effects of the alcohol. Limit your prescription medications to daytime use if possible. The reason why you snore may be as simple as the position in which you sleep. Sleeping on the back sometimes causes the uvula (the soft thing that dangles in the back of your throat) and soft palate to sag down and block your airway. The simple solution: adjust your sleeping position. Sleeping on the side is an easy way to help prevent this from happening. What if you are accustom to sleeping on your back? Some suggest that taping tennis balls to you pajamas to prevent rollover may be the solution. While many find this uncomfortable, it may be worth a try if have a difficult time staying off your back. Doctors have been saying this for years. There are several benefits associated with staying hydrated but how does this help with snoring? Simply stated, mucus in the nose and throat become thick during a period of dehydration. Thick mucus in the throat and nose can stop up the airway, restricting breathing. The recommended amount of water will vary depending on who you ask. Some say eight 8oz glasses of water per day while other say different. The Institute of Medicine now recommends that men consumer 125 oz per day while women consume 91 oz. Keep in mind that this includes water in food which accounts for on average 20% of our intake. 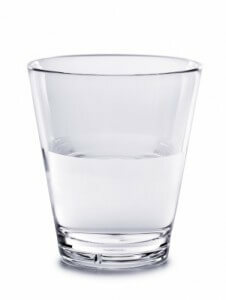 Another recommendation is to drink half your body weight in ounces of water per day. For instance, a 256 lb person should drink 128oz of water per day or 1 gallon. The answer to your snoring problem may as simply swapping out your pillow. A pillow that positions your head too high or too low can cause restrictions in your airway. Choose a pillow that allows you to rest comfortably while not placing your neck in an awkward position. While on the subject of pillows, did you know that allergens and dust mites may contribute to your snoring by causing inflammation? 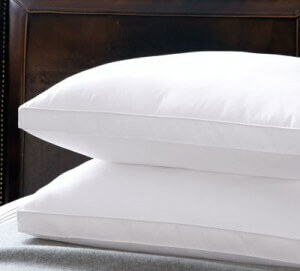 There is a bit of debate when it comes to how often you should swap out your pillows although most experts agree that they should be replaced every 1-2 years. If possible wash and thoroughly dry according to manufactures instructions.